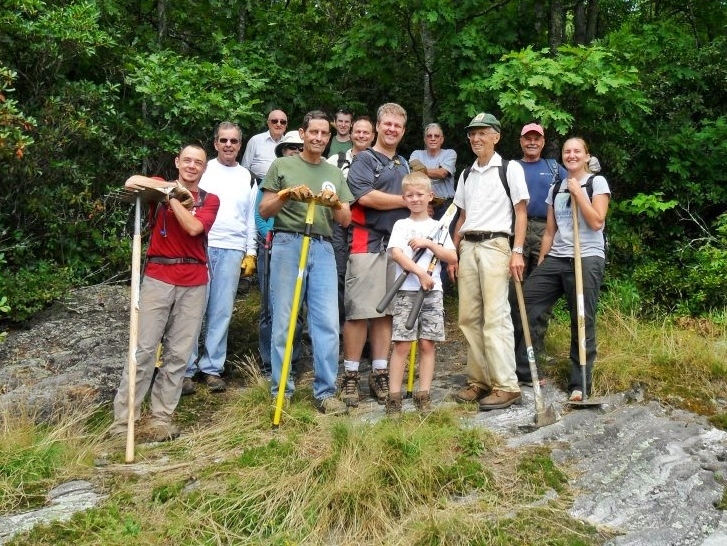 Join Friends of Panthertownin “the Yosemite of the East” this weekend, Saturday, July 26, for a fun day of hiking and trail pruning. 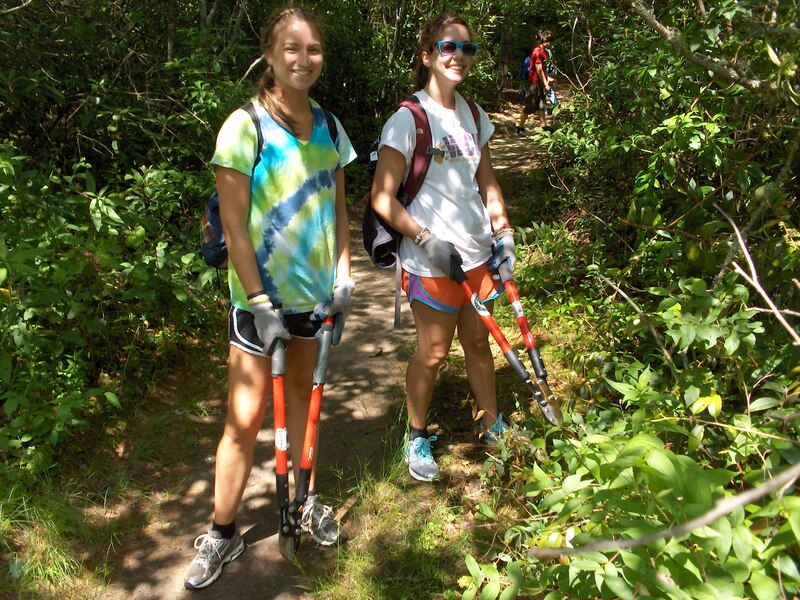 Volunteers of all ages are welcome to join us on the trails, and tools will be provided for those who would like to borrow one. If you would like to participate, meet us at 9:30AM at Salt Rock Gap trailhead (the western entrance to Panthertown Valley), located at the end of Breedlove Road in Cashiers, North Carolina. Our friends at REI Asheville have provided some cool giveaways for those who show up, plus each volunteer will get entered into a drawing to win from an assortment of outdoor goodies. Volunteers should bring: a day pack with lunch, water, and rain gear (just in case). Bring work gloves if you’ve got them, otherwise we have extras to loan out if you don’t have your own work gloves. We recommend you wear a good pair of shoes with socks when working on the trails with us. Here’s what to expect: we usually hike about 5-6 miles – working along the way; we take a lunch break when stomachs start growling; and we usually finish up by 3pm. It’s a lot of fun and the best part is that you go home tired and content knowing that you just did your good deed for the month. Inclement Weather Policy: the Trail Work Day will be canceled if it’s raining. To receive notices about future volunteer opportunities, such as work days, call 828-269-HIKE (4453) or e-mail friends@panthertown.org. You can also subscribe to our e-mail alerts and newsletters by entering your e-mail address in the subscription box on in the upper right menu of this website. Approximately 1.5 miles east of Cashiers on US 64, turn north (left coming from Cashiers, right coming from Sapphire/Lake Toxaway) on Cedar Creek Road (SR 1120). Continue on Cedar Creek Road for 2.2 miles and bear right (northeast) on Breedlove Road (SR 1121). There is a Forest Service sign here that indicates Panthertown Access. Drive 3.3 miles to the end of Breedlove Road until the pavement ends and turns to gravel. Continue ¼ mile on the Forest Service gravel road that leads to the Salt Rock trail-head parking area. Drive very slowly as this road has many dips and pot holes.